Get called for more interviews and increase your chances of getting hired! 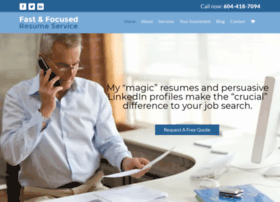 My Vancouver resume service has proven to help job-seekers stand out among hundreds of candidates. If you’re on a job search get in touch with Fast and Focused Resume Service today.